Hello all, here I am back again with the topic I am pretty obsessed these days and that is weight release (loss). 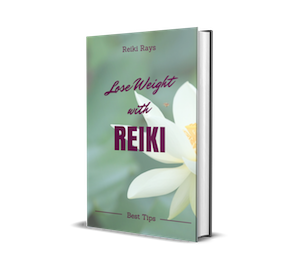 While I was trying Detox-Crystals-Reiki, I started wondering what actually is causing weight gain. I do not overeat, I do not have food addiction, I do self-healing 4-5 times a week, so is it only lack of exercise? I started pondering over this question and I realized that it is highly possible that it is an issue of karmic weight, weight I have been carrying since past lives. The people who are struggling with weight issues in this life are most probably suffering from karmic weight issues. Please it does not count sheer laziness and unhealthy eating. Karmic weight is caused by unresolved and unreleased issues from the past lives. So let us understand what actually karmic weight is. You have been a healthy eater, you exercise regularly, you meditate daily, you have no addiction and yet your weight won’t budge. Why? There might be multiple reasons. Suppose in one of your previous life you were starved, so you end up over-eating in this life time (Over-eating could be due to emotional stress too). Or suppose, you had to work extremely hard to earn even one time food, you subconsciously store the food in your body, it gets accumulated because somewhere deep down body feels you will not get enough food. Karmic weight is not just related to eating habits. Another example, you had been traumatized, sexually abused or emotionally wounded and you are now subconsciously trying to be of undesired weight to stop it from happening again. You carry weight as a protective shield. For better and clear answers, you can get Akashic records read or get PLR done. So, is there no way to release this karmic weight? There is certainly a way out, all you need is patience, faith and love for your body. You have to release yourself from the karmic contract. Call upon your spirit guides, guardian angels, archangels and ascended masters. Ask them to assist you in releasing karmic contract related to excess weight and aid you in releasing all the excess karmic weight accumulated from past lives. Draw distant symbol HSZSN, intone its name thrice and ask it to scan and connect to all the issues from past lives related to excess weight. Now simply write on paper or say aloud- I permit myself to be healthy and slim. I release all the karmic connection with undesirable, addictive or protective weight that accumulated in this life as well as all related past lives. My desirable weight is _____ pounds/kgs and I have achieved it. Thank you, Thank you, Thank you, so it is. If you have stated the above statement aloud, draw CKR+SHK+CKR ( into its name thrice) sandwich in air and let the Reiki flow. If you have written it then draw CKR+SHK+CKR sandwich on paper. If you are attuned to the master symbol, draw Master symbol with the intention to heal your karmic weight issues. If you are attuned to Karmic Reiki, draw Karmic Reiki symbols on the paper. Emotional Butterfly to release and heal all emotional negative patterns and Taoist Grace to release addictive and negative thought patterns accompanied by karmic-sisters symbols. For next 45 days, give Reiki to your intention slip or repeat the whole procedure. Give a break of 15 days and observe any changes you may notice. If you find no change, then repeat the process for another 45 days. You can program a weight loss crystal and hold it along with this intention slip for faster manifestation. Release your karmic contract and karmic weight and be happy and healthy. can I do it for my son? Thanks Nivedita n Usha…. Usha, yes u can..
How can you word it for putting on weight please? Can we use dis for others?? It’s a beautiful article my dear Rinku, thank u so much, love ?& light for you. ‘Healthy and happy’ and ‘slim and healthy ‘ – so, what your saying is that one cannot be healthy, happy or feel that their body size is appropriate unless they are ‘thin’- by whose definition? As someone whose has been ‘ fat shamed’ and body terrorized by others, I find your article offensive. To think, that even if a person has tried every relative means to lose weight, as they should you insinuate, that it is still their fault and responsibility due to ‘past life issues’ or psychic protection- your perspective is uncompassionate, and basically, it’s none of your business to advise anyone of their ‘karmic responsibilities ‘ to achieve a slim and therefore ideal body size.